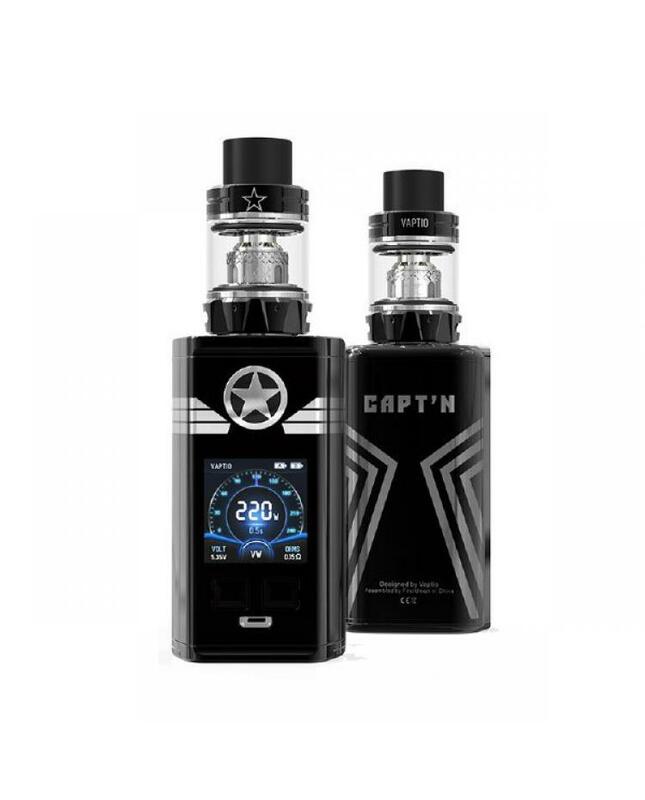 The Vaptio Capt'N 220W E-Liquid Vape Kit includes 220w vaptio box mod and 4m capacity sub ohm tank. 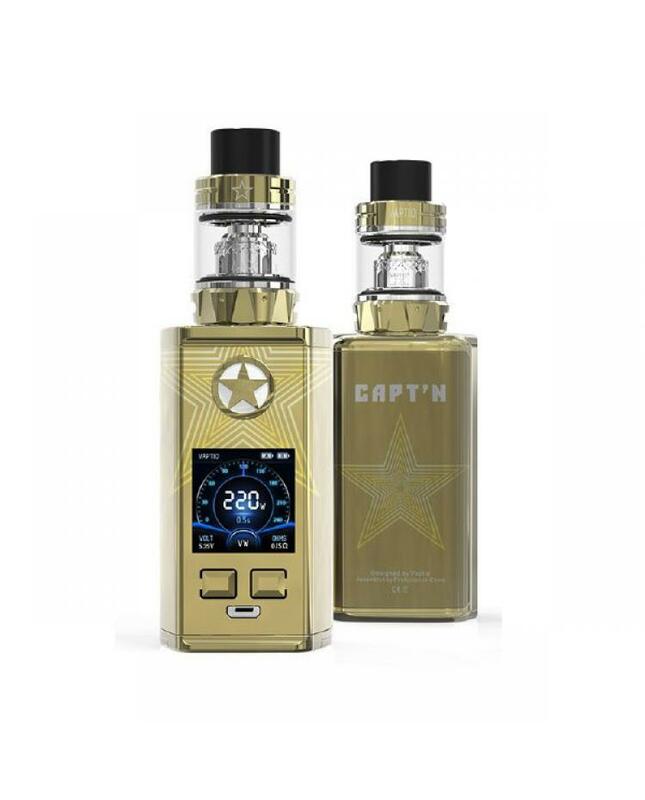 the 220watts box mod with zinc alloy frame and IML panel body, the in-mold labeling A.K. 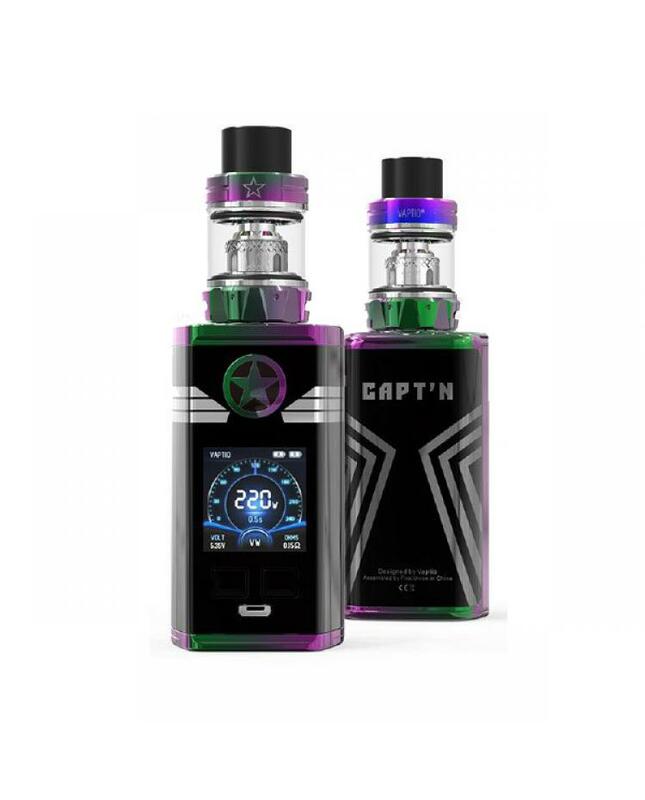 an IML technology allows for the most intricate designs to be labeled under a thin sheet of plastic giving it the appearance that it is printed yet ultra-shiny, compact and portable. 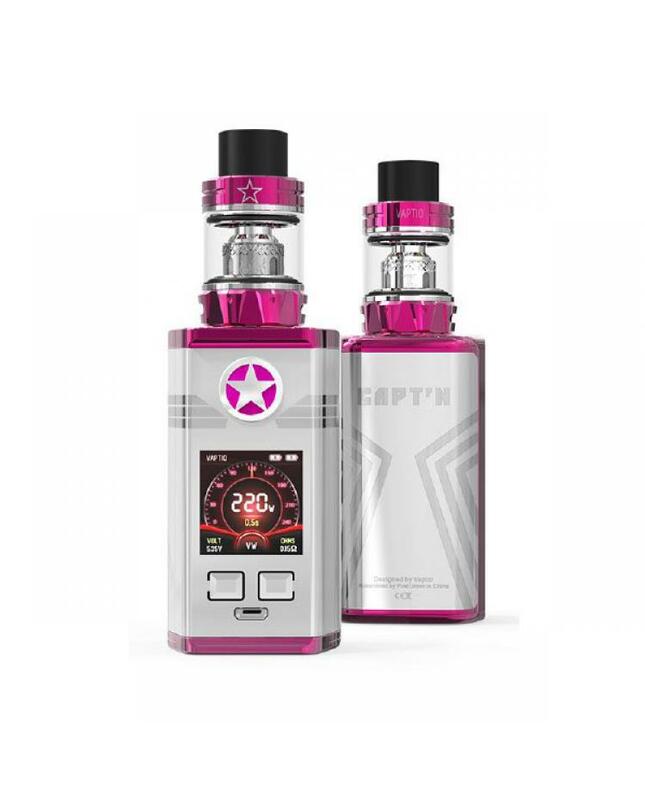 the Captn TC mod powered by dual 18650 batteries and max output 220watts, fire it up to the maximum throttle in only 0.05 seconds, 6intelligent output modes available: smart mode, VW mode, TC mode, CCW mode, CCT mode and bypass mode, the customizable and smart modes to enhance your high wattage vaping experience. 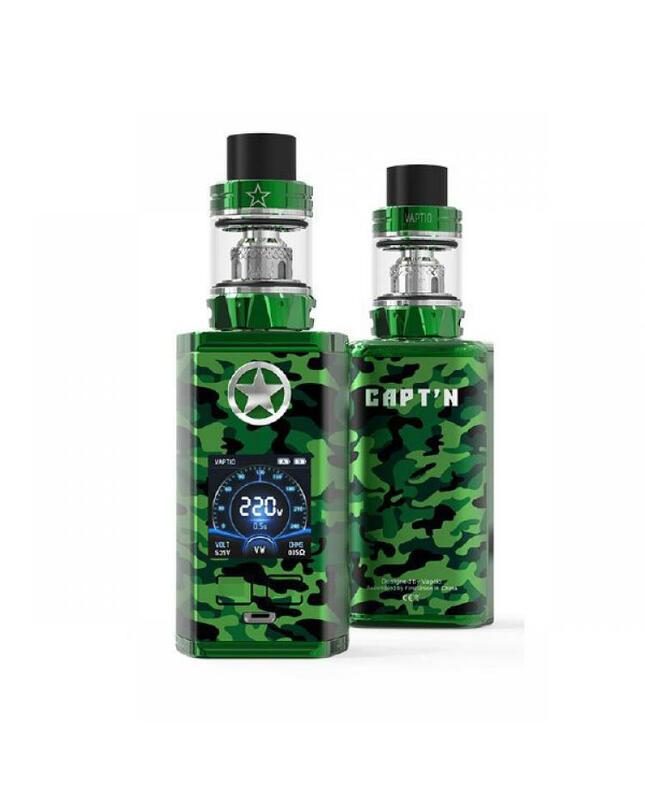 the vaptio capt'n with one large 1.3inch TFT colorful screen, which integrates the advanced user interface, will show vaping data more cleary and let the operation more easily. 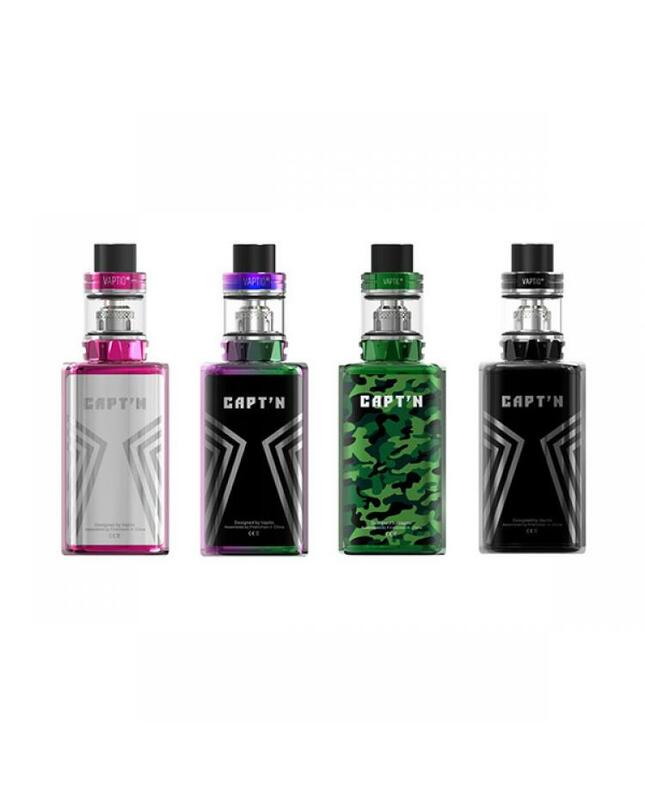 newly patented anti-leak design products your mod circuitry from the rare occasional times your tank may leak. 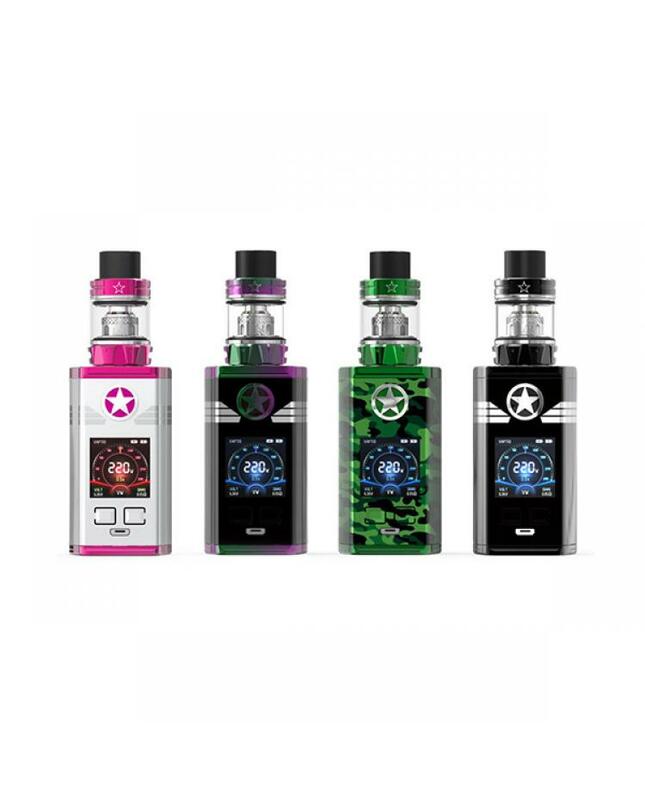 the vaptio vape kit with DC5V 2A quick charge system, it takes 50% less charging time to fully charge than before. 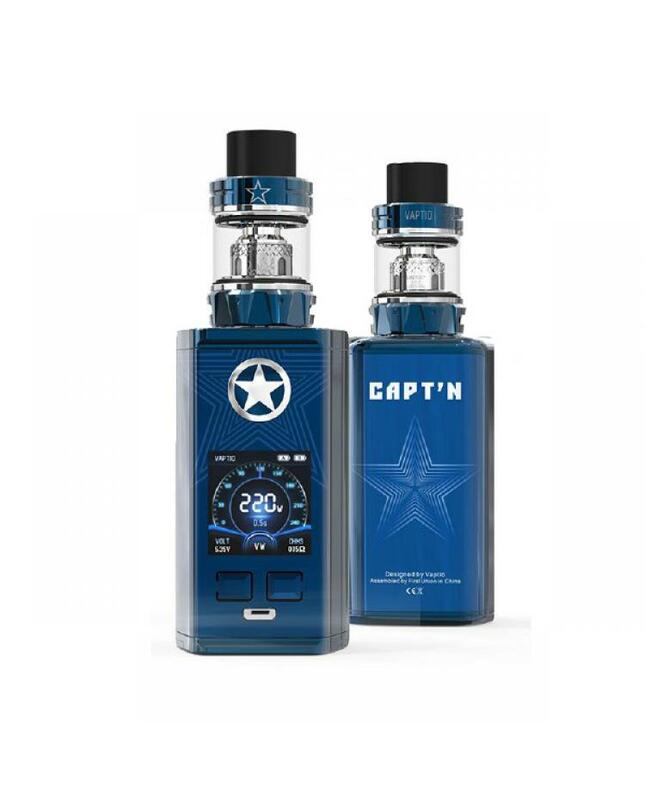 the capt'n sub ohm tank can hold 4ml e juice, easily top e juice refill design and bottom airflow adjustable design, allow vapers inject e juice and adjust airflow easily, it comes with 0.4ohm and 0.15ohm frogman series coil heads, will allow the tank fire up to 110watts, will deliver large cloud of vapor and dense flavor.